Here at H&O Plastics we get serious about lunch time. Especially during the cold months when some hearty home cooking is just the thing to restore your energy and warm up on a mid winters day. The problem with bringing your lunch from home though is that you usually need to purchase some expensive tupperware containers. Well not any more. 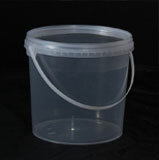 At BuyBuckets we regularly fill orders for cafes and takeaways which love our small clear plastic containers. They use them to store and transport everything from vegetables to frozen goods, even soup. And they don’t buy from any other companies because they know the H&O guarantee to deliver on quality. You can also enjoy these clear plastic containers as your very own lunch tub. We’ve collected some of our favourite recipes for the winter months and published them below. Try making bulk batches, split it into freezable portions and store until your ready to use them. Take some of these recipes to work and be the envy of all your co-workers. Hotpot is a firm winter favourite here at H&O. For a scorching hot lunchtime bite which tastes and smells like childhood you can’t go far wrong with this regional classic. The quickest and cheapest recipe comes from James Martin on BBC Food. On a particularly cold day there is nothing better than a warm and hearty winter soup. And if its good for you then so much the better. This quick and cheap winter soup uses classic British veg like leeks, parsnips, carrots and potatoes for a simple flavour. Chilli Con Carne is probably the perfect dish for casual get togethers. If you don’t fancy taking this one to work then you could always freeze some up for Halloween or Bonfire Night or Christmas time. Here’s our favourite recipe from BBC Goodfood. Another sauce rich one pot recipe which will keep you going when times get tough. Made with lots of lamb and tender potatoes as well as energy packed veg like cabbage this is winter comfort food at its finest. This recipe comes courtesy of Tesco who also seem to have the ingredients at a reasonable price.